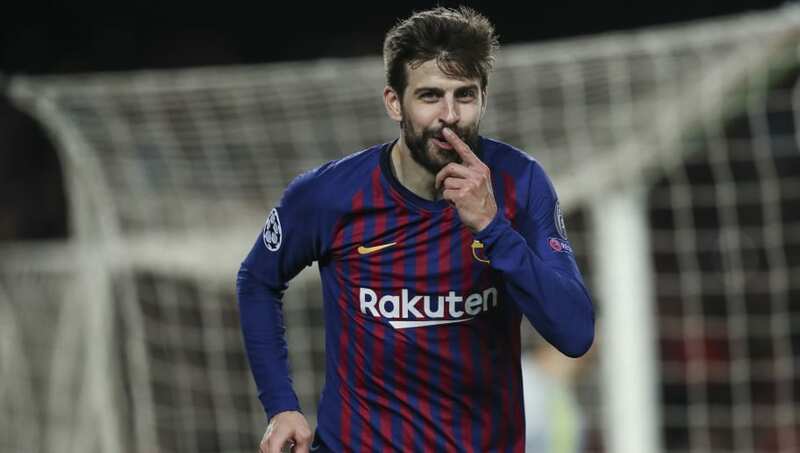 ​​Barcelona defender Gerard Pique has given his view on the club's opportunity to win the treble this season, claiming that, "the side need to keep their feet on the ground". The Catalan giants have been dominant in the La Liga, currently placed on top with a 10-point lead over second placed Atletico Madrid, while they have qualified for the Copa del Rey final and the quarter-finals of the UEFA Champions League. Such performances have led to a number of fans believing that they can win the treble, but Pique is not thinking about that at the moment. “It’s good that people are excited, but we have to keep our feet on the ground. La Liga is moving closer. However, the Champions League has been difficult for us at the quarterfinal stage," he said as quoted by ​Barca Blaugranes. The Catalan giants have struggled in the quarter-final stage in the past few years in Europe and will need to be at their best considering that they will face a rejuvenated Manchester United side in the last 8.